A few weeks ago, I was perusing No Clean Singing, as any self-respecting member of the human race should do daily. On this particular day, I came across a stream of a song from a band I had never heard of, which is not an entirely rare phenomenon for me when exploring their wonderful site. The band was Clouds, and the song was "How Can I Be There," from their then-upcoming release Departe. I was hooked, and listened to it for the rest of the day. 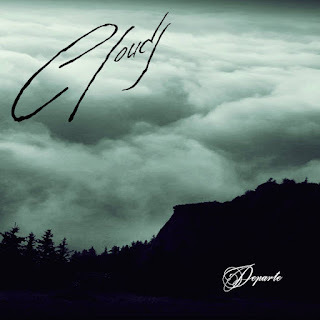 I then learned that Clouds had released a previous album, Doliu, so I then started listening to that. Hooked became obsessed, obsessed became Facebook stalking the band for any hint of new music from Departe, and I dove headfirst into the rabbit hole that one encounters when they find a new band that they really, really enjoy. On Tuesday, November 1st, I woke up at 4am for work, and before my coffee had even finished brewing I had purchased and downloaded Departe. Did it deepen my obsession with Clouds? Or is Departe a sophomore slump album, and will I have gotten deliriously excited over the course of two weeks only to suffer a tremendous disappointment? Short answer is there is no disappointment to be found here; Departe is a wonderful, cathartic album that showcases one of the best doom bands working today (that I only found out about two weeks ago). The longer answer is that, like with most bands, how you feel about their first album will influence how you view any subsequent albums. It may just be my current obsessiveness, but I feel that Doliu is perfect, everything I want an atmospheric or funeral doom album to be, and Departe has some stylistic differences that, while I certainly can't and won't fault the band for, don't quite tickle my fancy quite as much as Clouds' first album does. 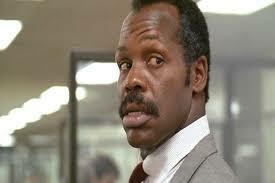 But that's me picking some serious nits; it's like debating between Lethal Weapon and Lethal Weapon 2; they're both awesome, so picking either as your favorite is justified. In fact, the slight differences between the two (movies or albums) may help you appreciate what you love most about your favorite, which is neat. The previously mentioned "How Can I Be There" opens up Departe, and it's the perfect opening track for the album. The song begins with a devastatingly mournful piano melody that eventually opens up to include the rest of the band and some clean vocals, before then jumping to a heavier passage with some harsh vocals. If there's one critique I have about the way Clouds does their style of doom, it's that it's readily apparent when they're about to switch from piano/clean vocals to metal/harsh vocals... which is one reason second track "Migration" really flourishes. Featuring some impassioned clean vocals over the heavier passages of music seems like a subtle change, but it really stood out to me and has stuck with me since my first listen to Departe. "In the Ocean of My Tears" is where Clouds really shifts things up. Opening up with a flute melody, it's already a change of pace before a brand new singer is thrust into the mix. "In the Ocean..." is still a very good song, but it definitely feels out of place with the rest of the songs on Departe. "In All This Dark" is also a bit of an outlier, in that it's by and large an entirely heavy song, very light on the piano, but still very heavy on the infinite sadness. It's the album's final two tracks that really shine. "Driftwood" and "I Gave My Heart Away" really encapsulate what Clouds is about. "Driftwood" spends half of it's runtime as a doomy piano ballad, and then when it gets heavier, features some of the best atmospherics behind the riffs the band has done. "I Gave My Heart Away" is absolute perfection to close this album, as it is absolutely dripping with catharsis and misery, and by the time the singer mournfully belts "I gave my heart away" at the end, it's incredibly moving. Ultimately, it's these two tracks and "How Can I Be There" that elevate Departe over your average funeral doom release. Clouds has found a style that suits them, and while playing within the lines so reverently can get repetitive, these three tracks don't suffer from that, and instead have an incredible energy about them. 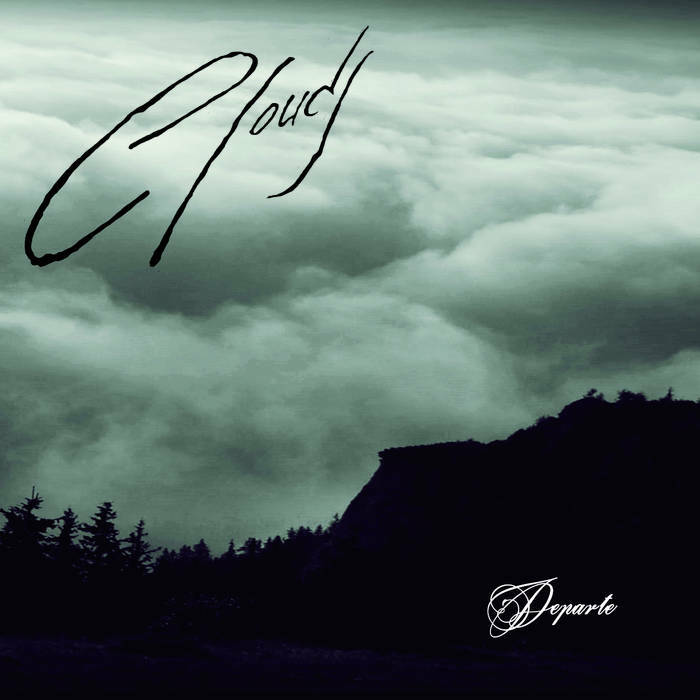 Clouds play atmospheric doom metal that absolutely wallows in melancholy. It's the kind of music that makes people say things like "wow, this song really finds the beauty in sadness and misery." It's the kind of music that is perfect for 40 degree, cloudy days in autumn where you walk down the street as red and yellow leaves swirl around you in the wind. While Departe may... erm, depart a bit from the absolute atmospheric, melancholic perfection of Doliu, that departure opens the band up to more progressive leanings and prevents their music from going stale. Funeral/atmospheric doom certainly isn't everyone's cup of tea in terms of genre, but if you're game, Departe is absolutely worth a listen. Just be warned that it may become an obsession.